NOTE: Bookings can be made from 6pm Monday - Friday, 12pm Saturday and 24hrs Sunday and public holidays. 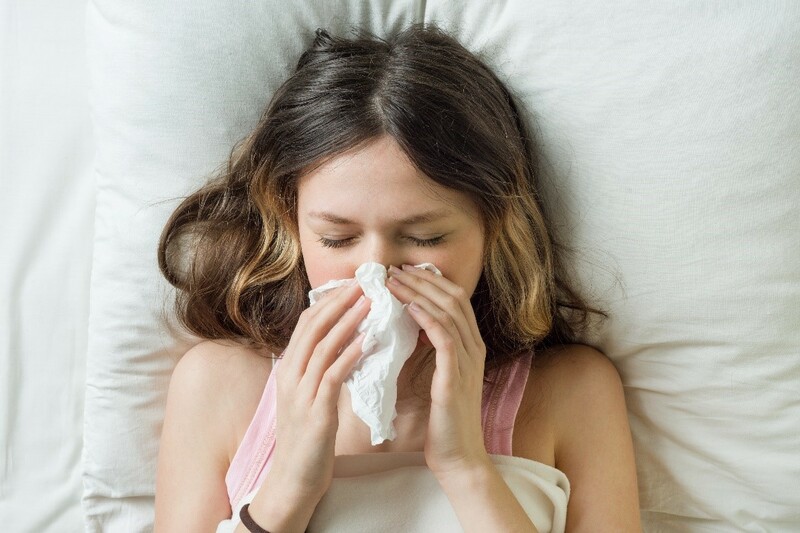 Flu season is here so what can you do to improve your chances of staying healthy? Now that we’re well and truly into Autumn, it seems like signs of the flu are everywhere we turn. There are more precautions available which can help you boost your immune system to avoid coming down with a cold. The Queensland Government has announced it will be providing free flu vaccinations for children under the age of five. Young children have a more vulnerable immune system – and the flu can quickly spread in the schoolyard. Free vaccinations are also available for those aged over 65. For others, vaccinations will continue to be easily accessible at chemists or local doctors – you simply need to make a booking. Along with the Government, doctors and hospitals across the State are preparing for the flu season, including after-hours medical service House Call Doctor. House Call Doctor CEO Wayne Ormond said he and the service’s doctors have been getting ready for an expected increase in demand over the next few months. “We usually see a spike in the number of patients around this time of the year, so we’ve planned ahead and have staff ready to respond to calls for assistance, right across Queensland and Northern New South Wales,” Mr Ormond said. Though it might seem obvious, Mr Ormond stressed the best advice he could give others to prepare for the flu season was to wash their hands. “When washing your hands, aim to use antibacterial soap and scrub for at least 15 seconds – it’s a big help when it comes to destroying germs and curbing the spread of illness,” he said. As well as this, House Call Doctor health specialists have discovered some helpful tips in how you can stay healthy, through your diet. Reported studies from the United Studies showed that foods rich in vitamin B6 and B12 could help boost the immune system. If you or a family member becomes sick, you can contact House Call Doctor for an at-home visit, which is 100 per cent bulk-billed for those with a Medicare or DVA card. Have you been hit with the flu already this year? We provide home visits to patients in their home, aged care facilities and hotels. We have compiled answers to some of the most frequently asked questions. Search for local and after hours pharmacies using our pharmacy finder. Search for local clinics using our clinic finder. We bulk bill all Medicare and DVA card holders and we also accept ALLIANZ, BUPA, & NIB insurances for overseas students. We have been approved by the The Department of Health as a provider in the Medical Deputising Service Program. Please note: Some postcodes are only partially within the House Call Doctor boundary; a positive search result does not guarantee that your address is within service area. To confirm coverage please call 13 55 66. This search tool is provided as a guide to assist in determining whether an area falls within the House Call Doctor coverage area. It does not constitute any undertaking or obligation on the part of House Call Doctor or its agents to provide medical services. Click here to download our free App on your smart phone and we will send you a notification when our service becomes available in your area.